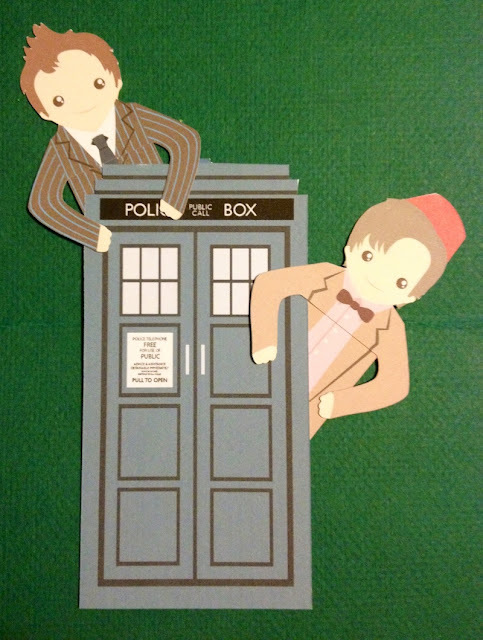 Book Adventures: Doctor Who Bookmarks! I'm a total Whovian--that is, someone who loves the TV series Doctor Who. And lookie what one of my besties sent me for Christmas (I love you, Nicole!!)! Doctor Who bookmarks! What a perfect combination--Doctor Who + reading. These bookmarks were made by Beth Yates, a graphic designer in the UK. To learn more about her and to see her other products, like Harry Potter, The Adventures of Merlin, and BBC's Sherlock, visit the links below the pictures. I'm totally going to have an indoor picnic with my daughter and these little guys for the Doctor Who Christmas Special! 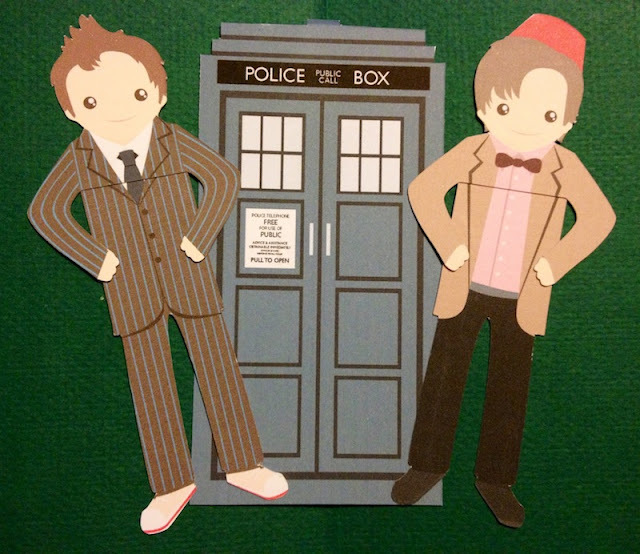 The character on the right is the Eleventh Doctor played by Matt Smith and the one on the left is the Tenth Doctor played by David Tennant. And in the middle is the TARDIS (Time And Relative Dimension In Space)!